Miri Shonfeld has played an influential and instrumental role in many changes in teacher education in Israel. She was the head of ICT at Kibbutzim College of Education and as the head of the forum for ICT coordinators in teacher education she worked to integrate technology in education. She was involved in writing the national program for the 21th century, as well as numerous position papers. She has been invited by universities all over the world to present her philosophy and pedagogy on using ICT in education. Her research deals with online learning environments, collaborative work, intercultural links and faculty development (TPACK is integrated in most of them). 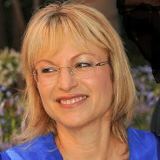 She is currently the head of the Technology, Education, and Cultural Diversity (TEC) Center at Mofet Institute and a faculty member of the graduate program in Technology in Education at Kibbutzim College of Education in Tel-Aviv.